If you are an international gym equipment dealer in Brazil or you want to open a gym in Brazil, we can help you out. Brazil is well known for their fit population. The fitness equipment industry is booming in Brazil so now is a great time to invest in some quality equipment. We’ve had extensive experience shipping containers of fitness equipment all across the world and we can definitely help you out if you are in the Brazil. We have also shipped many containers to many countries in South America and Brazil specifically. Our international shipping team will handle the paperwork so your items are not stuck in customs. We pack our equipment very securely to ensure no damages. Primo Fitness has been servicing international clientele for over 40 years and we have built a solid reputation with all of our customers overseas. You can view some of our pre-built gym packages below. We can also custom build any gym package for you. We have all the top brands in fitness including Hammer Strength, Life Fitness, Precor, Star Trac, Technogym, Cybex, StairMaster and many others. For more information, contact us at [email protected] or give us a call at 714-957-2765. Please fill out the form below if you are interested in purchasing some gym equipment. We can give you information on pricing and shipment. We can offer discounts if you are buying wholesale and we can also put together gym packages for any size gym. We have helped open many gyms in Brazil. You can also email us at [email protected] or call at 1-714-957-2765. 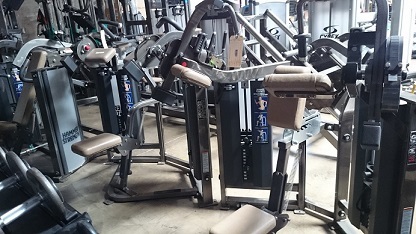 We strive to provide you quality prices and discounts for all of your used gym equipment. 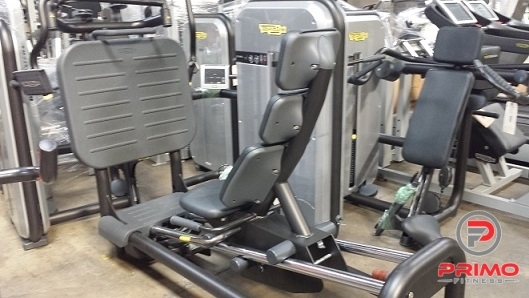 Select from our huge inventory that includes: used treadmills, used ellipticals, used exercise bikes, used strength equipment, used steppers and used stepmills, and others that best fits your needs. Browse through all of the different types of machines that we have available and prepare a list of all of the equipment that you would like. 1) We will provide you replacement parts at wholesale prices (the prices that we get them for). This helps you keep maintenance and repair costs as low as possible. You get such a discount that you can even resell these parts in your local country for profit. 2) Our service technicians are certified and will provide servicing advice, tips, and how-to’s if anything ever goes wrong with your machine, so you’re never alone. Most of our international clients fly into our Santa Ana, CA warehouse to inspect all of the equipment, but not all do. We have conducted many international deals over the phone and email and can assure you that you will get exactly what you are expecting. We look forward to working with you on supplying your fitness equipment needs! Do not hesitate to contact us with any questions.